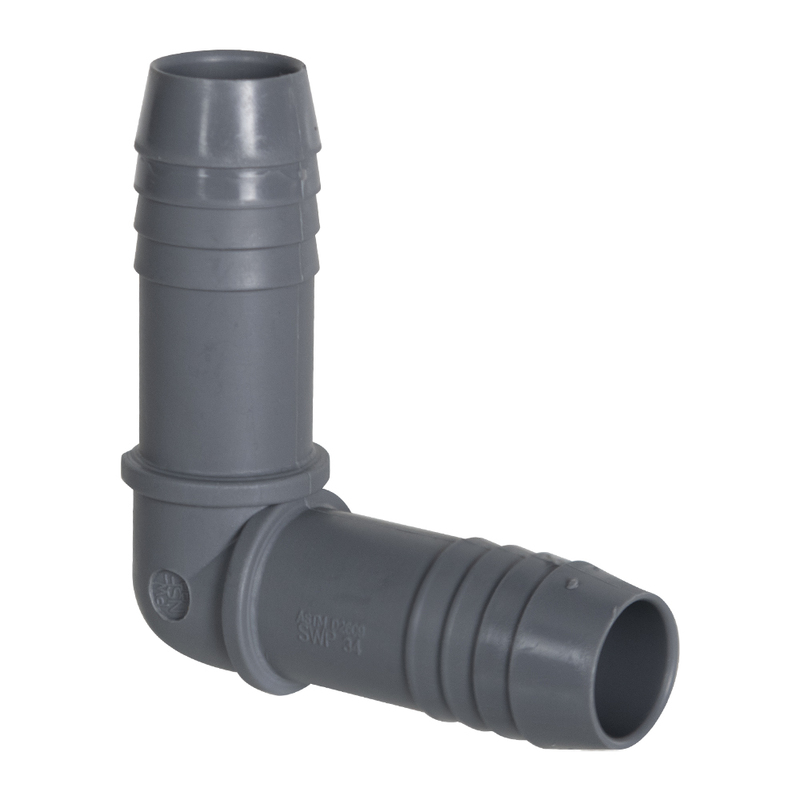 1-1/4" PVC Elbow | U.S. Plastic Corp. This insert elbow is 1-1/4" barbed insert x 1-1/4" barbed insert. The barbed insert ends measure 0.995" inside diameter and 1.425" outside diameter of the barbs. Polyethylene pipe should be clamped directly over barbs plus one additional clamp.